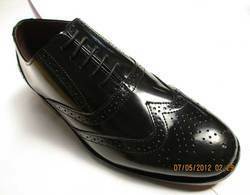 We have carved a niche as a leading manufacturer, exporter, importer and supplier of Mens Footwear. This synthetic slipper is designed using the finest quality material & sole by our skilled professionals. The offered synthetic slipper is quality tested by our quality inspectors, in order to make certain its quality. We offer a wide range of jute laminated sleepers that are available in different sizes, design and colour. To make these light weight and durable, we have used high-end technology and quality raw material procured from trusted market vendors. We are manufacturer, supplier and exporter of premium quality Men Leather Sandals, that can be customized in required size for bulk and retail order. 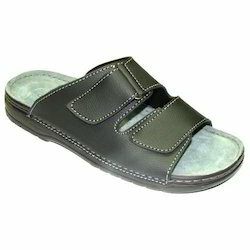 Leveraging over the skills of our qualified team of professionals, we are engaged in providing Flip Flop Men Sandals. Classic Lace-Up Leather Formal Shoe in Tan Colour.